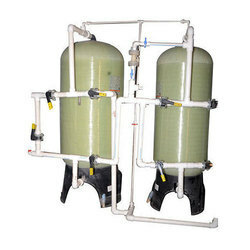 Manufacturer of a wide range of products which include domestic water softener plant, water softener, water softening plant and commercial water softeners. 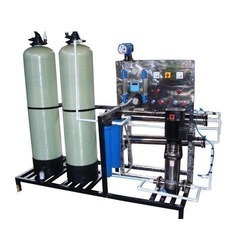 Our precious clients can avail from us an extensive array of Water Softening Plant, which we offer in in different sizes and designs in order to meet the individual requirement of our clients in the best possible way. This plant is commonly used in offering good water by removing impurities such as bacteria, virus . We fabricate this plant using superior quality materials that are procured from reputed vendors of the industry and using latest technology. 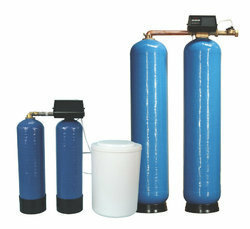 Outfitted with a modern infrastructure, we are the most prominent manufacturer of a wide array of Water Softener. All these products are installed with timer which automatically initiates the recharging cycle in every step in the process. Highly popular, these products are widely used by our customers across the country. We offer these softeners in various models and other related specifications. Our offered softener has gained exceptional value amongst our clients for its defined features. 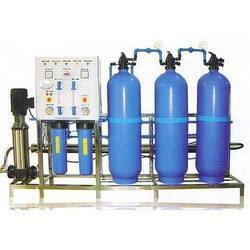 We have established ourselves as a renowned manufacturer and supplier of Water Softening Plant. The range offered by us is designed to remove scale forming salts and ions such as calcium and magnesium. All our plants are based on ion exchange process that uses resins as media. Moreover, we offer these plants in various models. 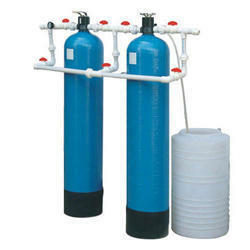 The Water Softening Plants are designed to produce treated water to suit for various application. Treated water is of consistent quality with low residual hardness throughout the service cycle.